The Best Popper Ever Invented? The fish have voted: "YES"! Each package contains six (6) popper bodies. Available in Yellow, Chartreuse, White, Black and Blue (new!). These bodies may or may not be painted. We recommend you use them without paint or laquer - just tie them up and catch fish! Please Note: After Selection, Click the BACK button to return and order more colors. 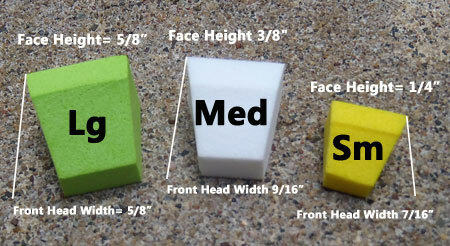 Premium soft foam blockhead poppers make the best, lightest and easy to make poppers anywhere! Three sizes are available - medium is the best all around size for nearly all types of bass and other surface feeding fish, including saltwater. This wedge shaped body shape tracks straight and pushes water, attracting big fish to explode on them. We recommend using a kink-shanked hook, prewrapped with thread to add strength to the super or epoxy glue interface. View video on Placing a Hole Throught the Popper Body. First saw the blockhead popper after reading River Smallmouth Fishing by Tim Holschlag.Found that I could buy the bodies at Flybass. I order a couple six packs to try. Wow! I'm a believer.If you haven't tried them you need too. I've had clients boat smallmouth up to five pounds on these. Easy to handle, just what I was looking for. I haven't fished with them yet. It's the first time I tried tying with them but they look promising..
once you pop they wont stop! Poppers work great, high float foam is awesome. I am a huge fan of blockheads. For years, I had to beg someone to cut me some bodies from a block of foam. No one sold the bodies commercially. Finally, Brad at flybass.com has solved everyone's problems. 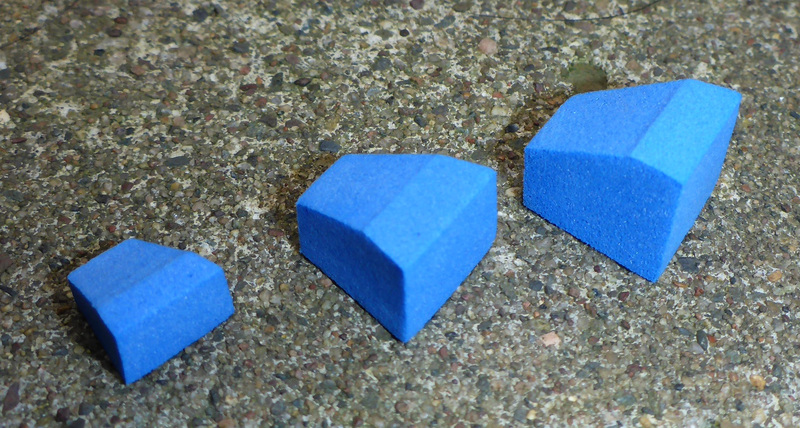 Not only are the blocks perfectly cut, but these have pre-drilled hole going through the body of the popper. This makes installation a snap. No more cutting a slot with a razor blade. Kudos to you Mr. Miller............great product. I test casted them last night and they were phenomenal. Was able to cast them a mile even on my little five weight rod. Upon hitting the water, the popper always landed in an upright position and consistently popped on each and every strip and twitch. I will be proudly endorsing these to all my friends. These poppers combine a very stable floating shape and will push water, just the way the fish like. The soft poly foam makes mounting on your hook a breeze. They are extremely light, making casting them a breeze, but most importantly, they catch fish in both fresh and saltwater.